Infographics can greatly enhance your message by using a set of aesthetically pleasing images to present important information. This numbered graphic is ready to use, and it creatively uses colors and shapes to get your point across. 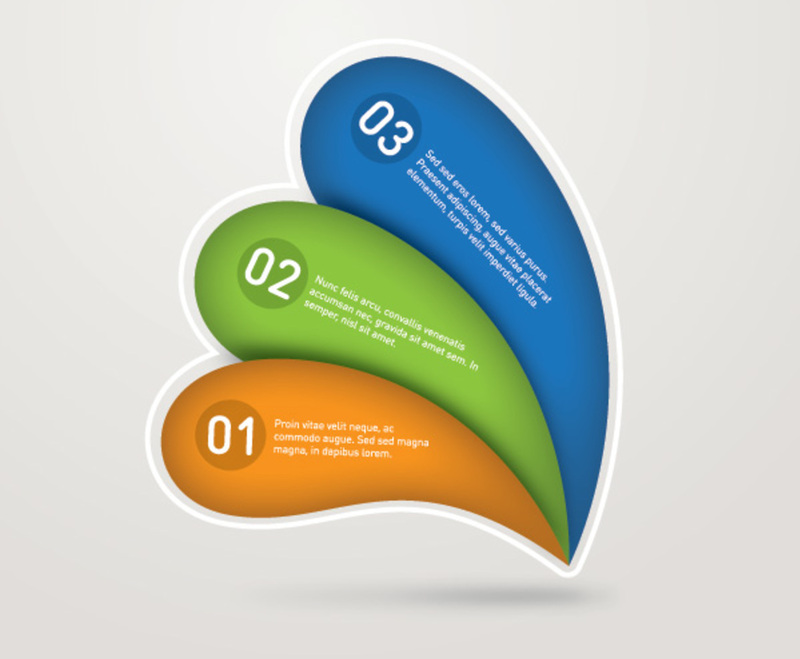 The three curved shapes in the center of this graphic show sample text in a plain white font. The blue, green, and orange colors help to establish each point separately, and light shadowing and gradients add to the appeal. This graphic gets its information across with an engaging design, and it's an excellent way to deliver important statistics or other information.